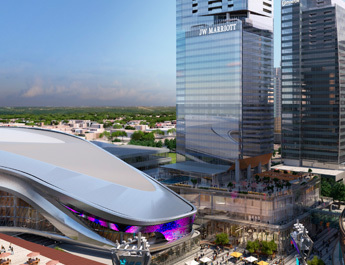 Opening in 2018, the JW Marriott is the ICE District’s newest luxury hotel. The hotel will feature 356 modern suites, a luxury pool, outdoor terrace, and 25,000 sq. ft. state-of-the-art meeting and conference space.